It was my daughter’s 4th birthday a couple of weeks ago, and of course she was spoiled rotten by friends and family. Of course in this busy life we all lead, finding time to write thank you letters is a tricky business. Cue technology! 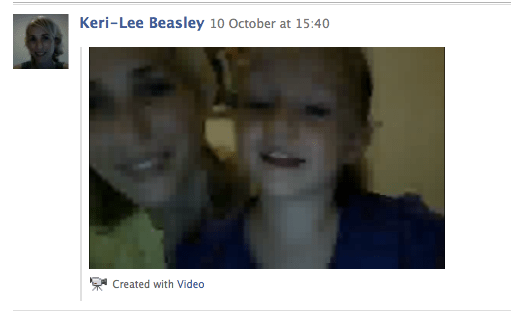 First up we hopped onto Facebook and created video messages of thanks. If you have a webcam it should be remarkably straightforward. Just go to ‘compose message’, click on the video button and record! For those not on Facebook, we used the Voice Memos app on the iPhone to record a very simple message of thanks. Clicking on the red circle starts and stops recording, and then you can email the mp4 file wherever you want. Check out a sample thank you below! I promise you, this took hardly any time at all, and I know the people who received their digital thank yous absolutely loved them!